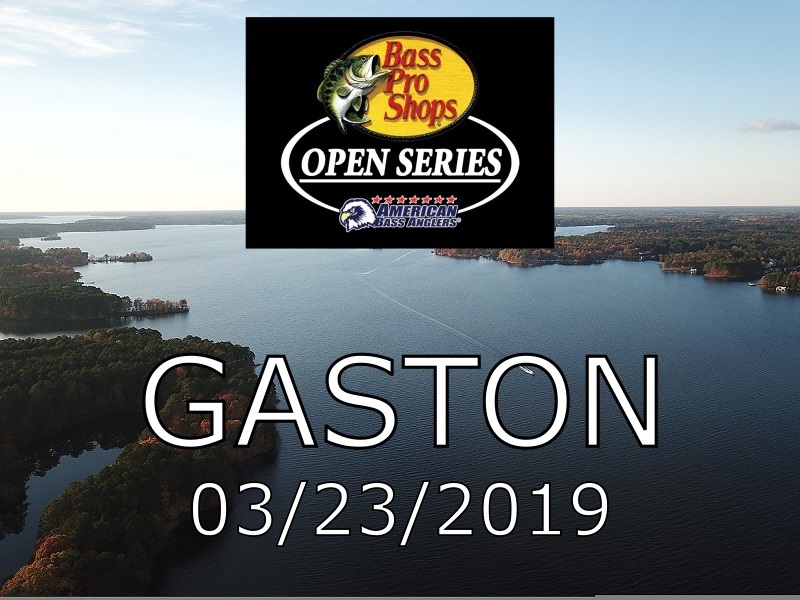 ATHENS, Ala. – The Virginia Division of the Bass Pro Shops Open Series presented by American Bass Anglers will hold its second event of the season on Lake Gaston on 3/23/19. The competitors will launch from Holly Grove Marina located at 8826 Hwy 903 Bracey, Virginia. Anglers will begin fishing at 7:15 am or safe light on Saturday 3/23/19 with the weigh-in to start at 3:30 pm. 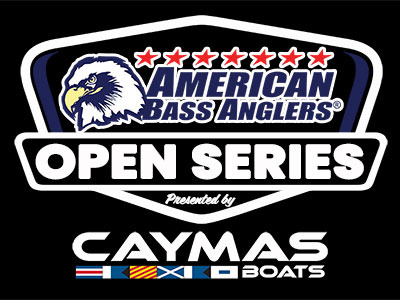 Registration begins at 4:00 p.m. until 6:30 p.m. Friday 3/22/19 local time at the ABA stage trailer at Holly Grove Marina, with the pairings meeting to follow at 7:00 p.m.
Athens, AL 2/27/2019 - The Bass Pro Shops Open Series Virginia Division Kerr scheduled for Saturday 3/2/2019 has been rescheduled due to high water levels and unsafe boating conditions. The lake is currently 10 feet above Summer Pool, and not expected to recede enough prior to the event to be safe. The rain runoff has pushed out a lot of debris into the lake creating an unsafe boating environment. Angler safety is our number one priority and in the best interest of our anglers the tournament has been rescheduled to March 16, 2019. The rescheduled tournament will still launch from Nut Bush Park. 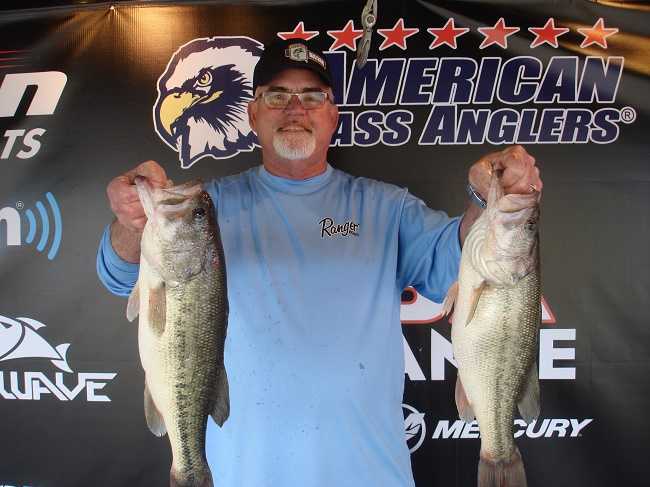 Registration will be held on site at Nut Bush Park at the ABA stage trailer 4:00-6:30 with safety briefing and partner pairing at 7:00 p.m.
ATHENS, Ala. – Following up his win on Kerr Lake, Mark Robertson of Henderson, North Carolina won the American Bass Anglers open series held on Lake Gaston on 8/11/18. Running out of Holly Grove Marina in Bracey, Virginia Robertson weighed in a five-bass limit weighing 16.67-lbs. Robertson’s limit was anchored by a bass weighing 4.76 pounds. For the win Robertson took home a check for $5000.00. 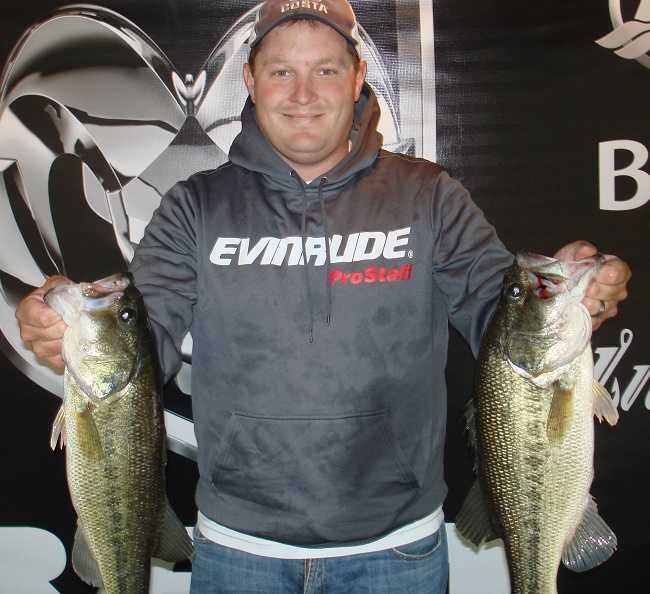 ATHENS, Ala. – The Virginia Division of The ABA Open Series will hold its fourth event of the season on Lake Gaston in Bracey, Virginia. The competitors will launch at Holly Grove Marina located at 8826 Hwy 903 Bracey, Virginia 23919. Registration begins at 4:00 p.m. until 6:30 p.m. Friday 8/10/2018 with the pairings meeting to follow at 7:00 p.m. To register for this tournament, see http://www.abaopenseries.com/EventDetails.php?id=8877. 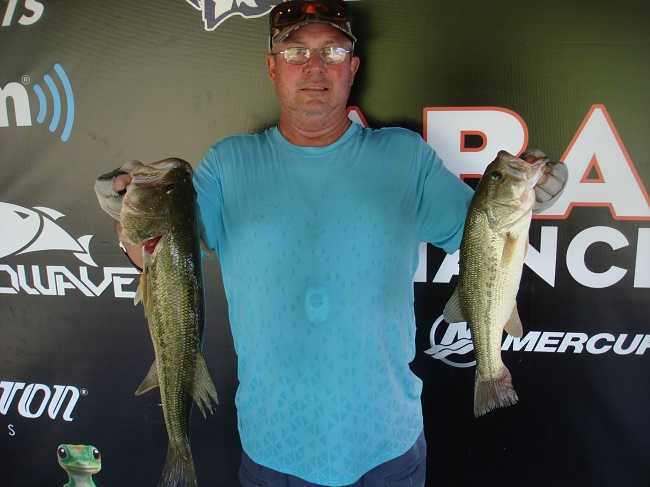 ATHENS, Ala. – Mark Robertson of Henderson, North Carolina, won the American Bass Anglers Open Series Virginia Division tournament held on June 23rd on Kerr Lake. Running out of Nutbush Park in Henderson, North Carolina, Robertson weighed in a five-bass limit weighing 12.49-pounds. He anchored his catch with a bass weighing 4.08-pounds. For the boater division victory, he took home a check for $5000.00. ATHENS, Ala. – The Virginia Division of the ABA Open Series will hold its next event of the season on 6/23/2018 on Kerr Lake in Henderson, North Carolina. The competitors will launch at Nutbush Park located on Jack Wade Farm Road in Henderson, North Carolina. Anglers may begin fishing at 5:30 a.m. or safe light. The weigh-in will begin at 2:00 p.m. Registration begins at 4:00 p.m. until 6:30 p.m. with the pairings meeting to follow at 7:00 p.m. To register for this tournament, click here. 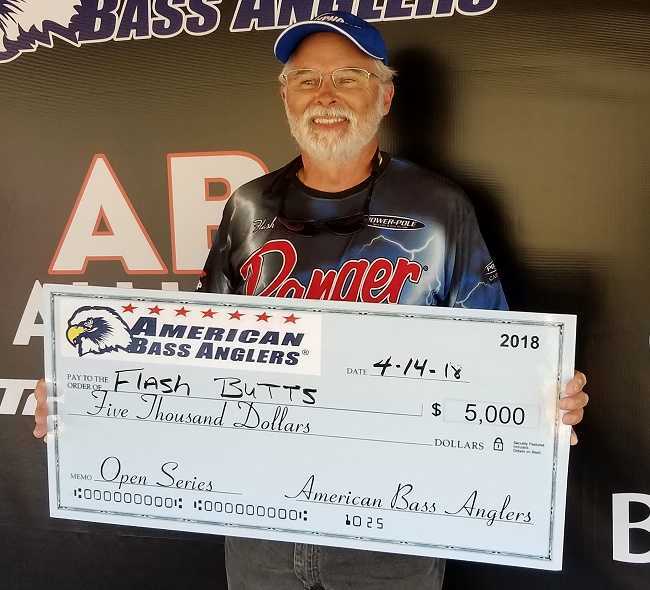 ATHENS, Ala. – Flash Butts of Roanoke Rapids, North Carolina won the American Bass Anglers Open Series event held 4/14/2018 on Lake Gaston. Running out of Holly Grove Marina in Bracey Virginia, Flash weighed in a five-bass limit weighing 15.97 pounds, with a6.25 pound kicker. For the win he took home a check for $5000.00. 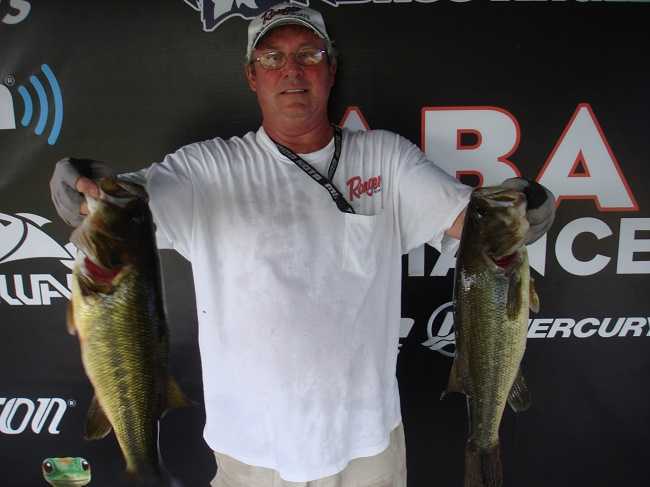 For having the biggest bass weighed in for the boaters Flash took home an additional $920.00. Also, for having the biggest bass of the tournament and because the bass was caught using an ABU Garcia reel Flash took home an ABU Garcia reel valued at $160.00. ATHENS, Ala. – The Virginia Division of the Open Series will hold its next event April 14th 2018 on Lake Gaston. The competitors will launch from Holly Grove Marina located at 8826 Highway 903 Bracey Virginia 23919. Anglers will begin fishing at 7:00 AM or safe light until 3:00 PM. Registration will be at the ABA stage trailer on Friday 4-13-2018 at Holly Grove Marina 8826 Hwy 903 Bracey Virginia 23919. Registration will run from 4:00 PM-6:30 PM with the pairings meeting to follow At 7:00 PM. Anglers holding a Freedom pass must text or call 256-497-0967 Friday 4-13-2018 between 4:00PM- 6:30 PM to confirm you are fishing the event. 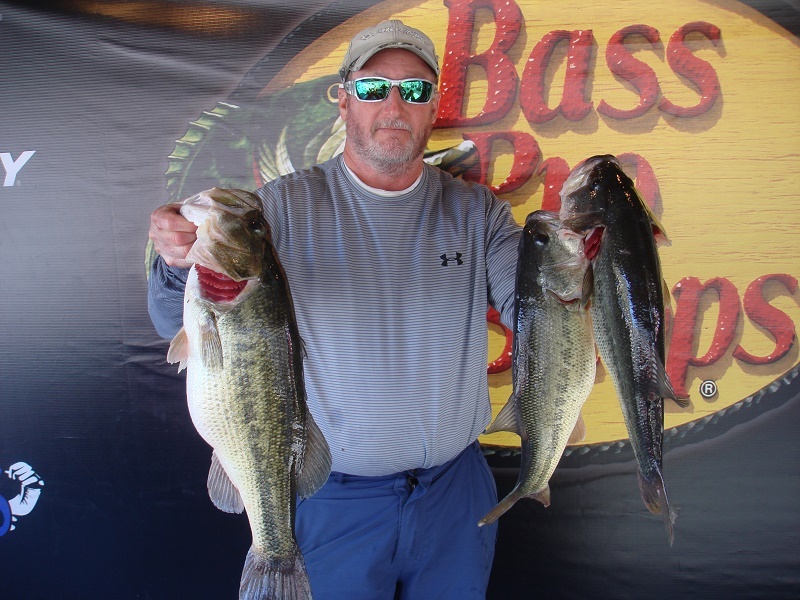 ATHENS, Ala. – Mike McDonald of Randleman North Carolina won the American Bass Anglers Open Series event held 2/24/2018 on Kerr Lake. Running out of Nutbush park located in Henderson, North Carolina Mike weighed in a five-bass limit weighing 18.19 pounds. For the win he took home a check for $5000.00. “I found little schools of fish around hard cover. I caught probably 20 bass all on a jerk bait in 6-8 feet of water,” said McDonald. 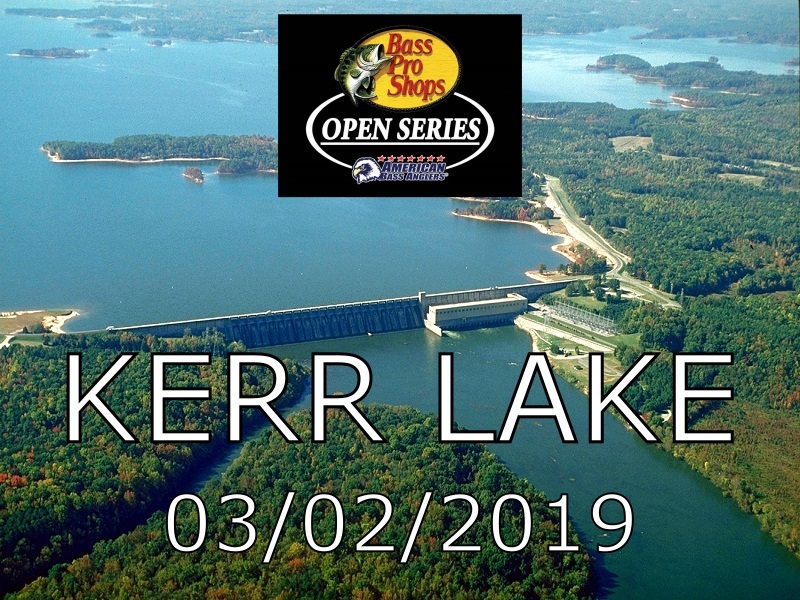 ATHENS, Ala. – The Virginia Division of the Open Series will hold its season opener on Kerr Lake on 2/24/18. The competitors will launch from the Nutbush launch facility located at 115 Jack Wade Farm Road Henderson, NC 27536. Anglers will begin fishing at 6:45 am or Safelight until 2:45 pm. Registration will be at the ABA stage trailer on Friday 2/23/18 located at Nutbush Park 115 Jack Wade Farm Road Henderson, North Carolina. Registration will run from 4:00 pm-6:30 pm, with the pairings meeting to follow at 7:00 pm. Anglers holding a Freedom Pass must text or call 256-497-0967 Friday 2/23/18 between 4:00 pm-6:30 pm to confirm you are fishing the event. ATHENS, Ala. – The Virginia Division of The Ram Truck Open Series will hold its fourth event of the season on Kerr Lake 6/17/2017. The competitors will launch from Nutbush Park located on Jack Wade Farm Road, Henderson, NC. Anglers will begin fishing at 6:00 am until 2:00 pm. Registration will be at the Quality Inn located at 197 Parham Road, Henderson, NC. To register for this tournament, see www.ramopenseries.com/EventDetails.php?id=8858. JT Palmore of Blackstone, Virginia won the American Bass Anglers Ram Truck Open Series Virginia Division tournament held 5/13/2017 on Lake Gaston.